Ever Wonder Why It’s Called Grilled Cheese Sandwich? It sounds a little like a bit from a 90’s stand-up comic routine: Why do they call it a grilled cheese when everyone cooks them in a pan? 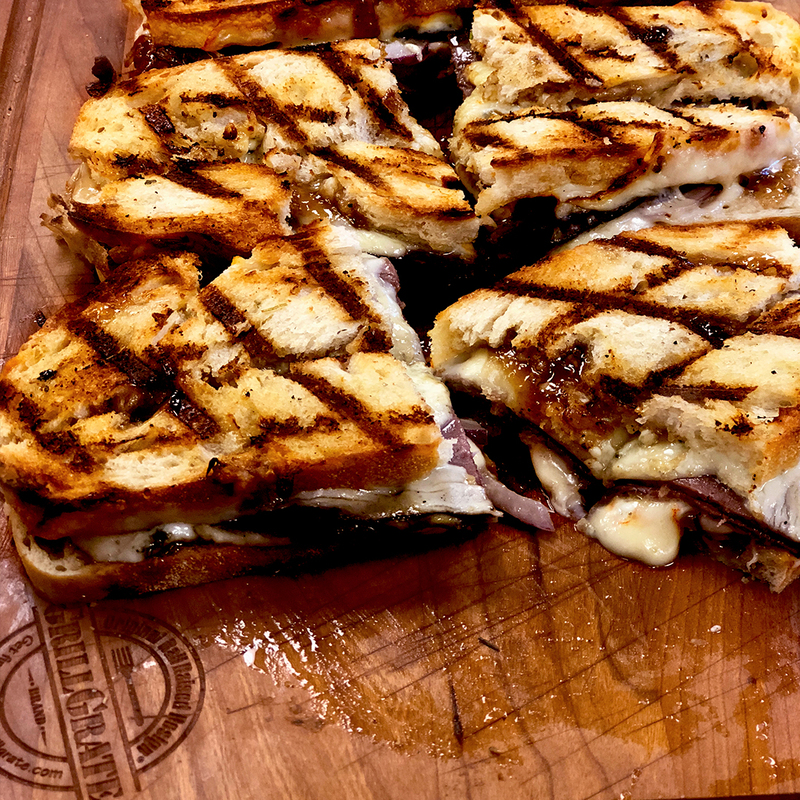 The name “Grilled Cheese Sandwich” is simply a colloquialism, but we figured we would make them both ways on the grill – grilled and griddled – on a set of GrillGrates and see what happens. That’s the benefit of GrillGrates: you can grill on both the rails and on the flat side, giving you a flexibility that standard grates don’t offer. Turns out, grilled or griddled, co-workers at the office didn’t care what we called them, as long as we got out of their way once we brought the sandwiches into the kitchen. We tried different cheeses, meats, vegetables, and spreads. Avocado, onion jam, roast beef, and Gorgonzola cheese all made appearances. Grilled or Griddled Cheese Sandwich? Doesn’t Matter, It’s Delicious! Below you’ll find the recipes for the five grilled (and griddled!) cheese sandwiches we made on our vintage Weber Genesis Silver B. We drew our inspiration from the excellent book “Grilled Cheese Kitchen” by Heidi Gibson with Nate Pollak. Our recommendation: Go crazy! Try your own combinations and see what works for you. Take some pics and share your favorites with us on Facebook, Twitter, and Instagram. You can find all of the recipes for these sandwiches and more on our Recipes page.